If this message is corrupted or you can't see images please press here to view it online, or press here to view "The Ringing Cedars of Russia" newsletter page. Word of mouth is our best advertising. The world needs the Ringing Cedars to be widely available in English, please tell your friends and neighbors about us. Better yet, share our Web site, www.RingingCedarsofRussia.org, with them and help spread the word. It is wonderful if Anastasia's dream comes true in all countries! Our new harvest has arrived! Siberian cedar (also called Siberian pine, Pinus sibirica) is a majestic tree living to 550 years, growing to over 30 m (100') tall and covering over 100 million acres of the Siberian taiga (boreal forest). It is also of unparalleled grace and beauty: seeing it in bloom it an unforgettable, breathtaking sight. This tree is generously sharing with us its nutritious pine nuts (cedar nuts), from which the unique healing pine nut oil is produced. It is also a tree of exceptional spiritual importance. Early Russian settlers of Siberia discovered that the power of Siberian cedar - a totemic tree of indigenous Siberian cultures for many millennia - is of equal, if not greater, power to cedar trees of the middle east (Cedrus spp.). King Solomon valued cedars of Lebanon so highly that to build his house and the temple, a dwelling of God, of cedar, he went to exceptional expenses to assure supply of cedar timber (1 Kings). Cedar (Atlas cedar, Cedrus atlantica) is also one of the sacred trees of the Druids. The fire of Zoroaster was the result of burning of the cedar resin in the chalice. 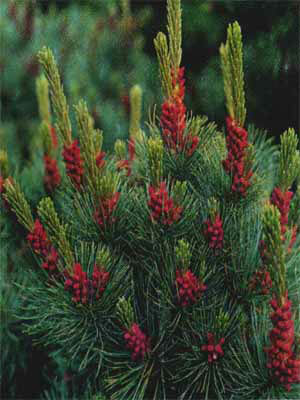 In North America, red cedar (Juniperus virginiana) has been the sacred tree of many Native American peoples. In Russia, monks were planting the sacred trees of Pinus sibirica in monasteries and distributed cones and seeds to pilgrims for planting elsewhere. Siberian cedar was also spiritually the most important tree species in the ancient Vedrussian (Vedic Russian) culture. The notion of 'Ringing Cedars' - trees that over the centuries of their lives accumulate cosmic energies to then distribute them to humans - has long been forgotten but was rediscovered and popularized by Russian author Vladimir Megre in his wildly popular series of books The Ringing Cedars . Of all the sacred cedar trees Siberian cedar alone is producing exceptionally nutritious and healthy nuts (cedar nuts or pine nuts). "The Ringing Cedars of Russia" brand - distinguished by the quality of its products and the most honest business practices - makes this treasure from Siberia available on the market, bringing pine nuts, pine nuts oil and other products directly from Siberia, with no intermediaries. Recently, the Siberian cedar forests have been under growing logging pressure from corporations due to the exceptional qualities and value of the Siberian cedar wood. These beautiful and generous trees, each of which can provide bountiful harvests of the valuable pine nuts for over 400 years) are being logged out illegally and smuggled through the Russian border to China and Japan . According to a World Resources Institute (based in Washington , DC ) report - "The Last Frontier Forests" - the Siberian cedar taiga, while the most extensive, is also the most endangered virgin forest of the world. 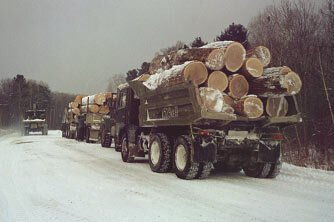 World Wide Fund for Nature (also known as World Wildlife Fund) - WWF Russia - estimates that if the illegal logging proceeds at the current rate, Siberian cedar forests will be wiped out in less than 10 years. 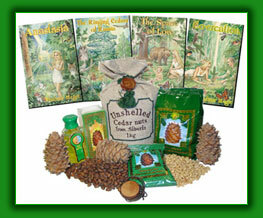 By purchasing the fair trade Siberian pine nuts and pine nut products bearing "The Ringing Cedars of Russia" brand you help sustain these unique trees, unique forests and local communities that depend on them for survival. Thank you for your fantastic products :-) I wish you the best. I love this product. I am anxious to share with my elderly mother and father. Very pleased with the energy I am getting from the oil and bee pollen. My husband has ordered some products from you, now we need more pine nuts as they are delicious.The books so far are very thought provoking and do indeed make you feel good as you read them. Official representative of Ringing Cedars of Russia. © 2006 www.RingingCedarsofRussia.org All Rights Reserved.